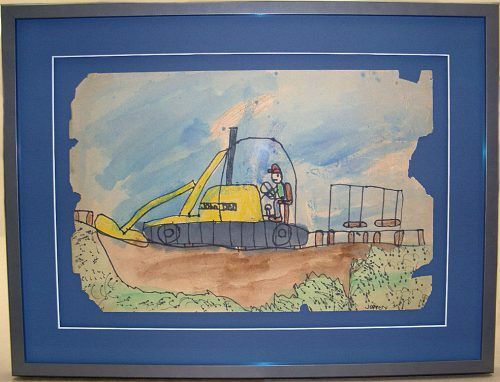 Sometimes a child creates a piece of art so special that it warrants a spot on the wall (rather than in a pile in the basement). 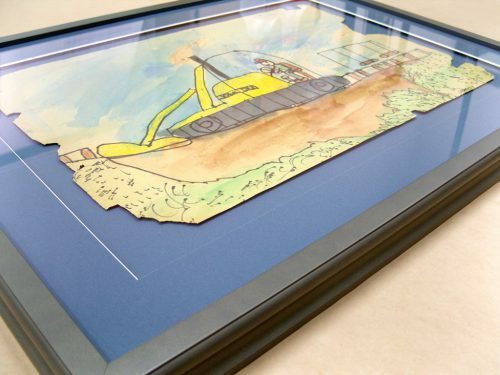 Such was the case with this bulldozer drawing. A conservation float mount presentation highlights the texture of the paper’s torn edges while also not contributing to further deterioration of this sentimental treasure.